A brand + Showit Design Studio for creatives who want to make more money doing what they love. brand designer and strategist for creative ENTREPRENEURS who want t o make more doing what they love. Craft your personal brand with the brand toolkit. Showit Templates designed with multi-passionate creatives in mind. I have seen a lot of rapid growth and success in my business in the last six months, and I want to take you back and through that journey and how my business has transitioned over the past six months. So, six months ago, which takes us back to the very beginning of 2018, it was kind of a transition within my life and my business, so if you didn’t already know, we moved into our new house. For the past year, we were living with my parents in a tiny house in their backyard while we paid off our debt and saved up a down payment for a house, and so, in February of 2018, we moved into our house, and I really felt, for the first time … I quit, or I got fired from my marketing job while we were living at my parent’s job. Well not … Yeah, while we were living at my parent’s house. So, this was going to be the first time that we actually had a house payment or a rent payment while I was doing my own business, and that scared the crap out of me because without that, we could pay our bills with just my husband’s paycheck, and so I was obviously working hard, but there was an amount of pressure on me. So, this kind of changed my mindset when I realized like, “Oh crap. If this doesn’t pan out, I’m going to have to get a job and work for somebody else.” It really just scared. And so, that’s whenever the first kind of change came within my business, and I tested out basically running my brand and website design company like a subscription basis. And what I mean by that is I added in a monthly payment plan option, which I have not seen another designer do. I didn’t see another designer doing. And that worked out because … Well, let me explain. The subscription basis was they would take the total amount of their invoice and divide it up into like six to 12 months, and it was run one time on their debit or credit card. And it worked out for me because it also gave me basically re-occurring revenue each month. I knew that if I added on another client, that I was going to be getting $200, $300, $400, $500 each month, even after the design was finished because budget, as a creative is really hard. And, I’ve been asked the question, “Well, why didn’t you just raise your prices?” I have tried that before, and those are not my people. Once I hit a certain price point, the clientele changes, and the expectations change, and I just realized that there is a happy-medium where I really enjoy serving these types of clients, and they fall into this bracket of project, what the project costs basically. And so, that’s kind of the first change that came within my business is adding on this subscription-basis model. So with that, I saw a lot of growth. Basically, everybody that I got on the phone with, I was booking because every single time I got on the phone with somebody, I was hearing the same, I don’t want to call it excuse, but the same thing every single time. They’re like, “I can’t afford that.” You know, I can’t afford $3,000 in a two-month time span either. It’s just realistic for somebody who’s growing a business. So, I completely understood that, and this was kind of my way to get around that, and so everybody that I was getting on the phone with was really excited about that. They’d never heard of that option before, and so I was booking a lot of clients, and I think, for the first time within my business, I began getting booked out months in advance, and that was really exciting for somebody who was moving into a new house and having all these other bills that they weren’t having beforehand. And so, that was kind of the beginning of 2018 and the beginning of the rapid growth that I saw. I also added in social media management, just specifically for Instagram. Instagram is my jam. All the way around, I love Instagram, and became a student of Instagram. I enrolled in so many courses. I took so many classes. I took so much time perfecting the craft and becoming somewhat of a guru of Instagram, and it’s not really something that I wanted to teach about, but I wanted to help other business owners because a lot of places, their social media is lacking, and they’re losing out on connecting with their clients that way, and so I wanted to help them connect with their clients on social media through Instagram ’cause Instagram is where I like to hang out, and it’s where I like to create content with. If they didn’t within that email, they would get a follow-up email that basically said, “Hey, are you interested in this? If so, let me know, and you can set up a call if need be.” And so, I only had a limited amount of spots because obviously, I’m one person, and I filled up all of those spots whenever I launched the Instagram content creation. I had taken on beta testers to test out the process so that I could set everything up correctly, create the questionnaires, and just have a smooth process from the start, and all of the people that I originally booked as beta testers decided to be kept on except for one, and so whenever I launched it, I only had one spot, and I filled that spot immediately. So, I had set up another stream of revenue within my business automatically coming in. It’s a month-to-month subscription, so I have a reoccurring revenue that is coming in every month, and I wasn’t having to do a lot of work on the front end. Like, the Instagram content creation is not something that I market too. It’s not something that you’ll hear me talking about. It’s something that’s on my website, and somebody can stumble upon, and if it’s something that they’re really interested in, they can get the investment guide and reach out to me, but it’s not something that I am marketing, so there’s no extra work there, and there’s only limited amount of spots, so if all those spots are filled, then I’m just doing the work month-to-month and building that with my clients. And so, that was another way that I kind of saw more growth in my business and in my income, and that was probably around the beginning of the year too. Around the same time I was offering the monthly plans, I was adding the Instagram content creation too, and if you know, if you’ve followed me for a while, then you’ll know that I am a huge fan of Jasmine Star, and so I have been inside her monthly subscription social curator since, I don’t know, like September 2017. I really … Through her social curator, I had found out that I really like automation. I really liked re-occurring revenue, and I really liked creating content. So, some of the stuff within her social curator, she’s teaching you how to do Instagram and Facebook and stuff like that, and so I was scheduling … I was starting to schedule out my social media in advance and really getting serious about my blogging and going live on Facebook and doing Instagram lives, and so I was really getting intentional about marketing, and so through all of that, I am now, currently, at a very weird place within my business because I’m super freaking busy. Like, I am booked out months in advance. Like I’m almost done … At the point of recording this, it is mid-July, and I’m currently booked out until almost October. Like, I might have a couple of openings for September. I could squeeze in little projects, but other than that, I’m booked ’til October. Since, I’ve seen this growth within my business for like the Instagram content creation, I hired on a photographer, and I meet with her monthly, and we do shoots, not only for my own business and social media, but also for my clients, and then I also hired a copywriter on retainer for myself and also my clients for like website projects or social media or basically anything that I need help with. I now have a photographer and a copywriter, which for me, is a huge step. I’ve been doing this by myself for over a year now, and so just adding on two additional people and kind of having somewhat of a team is a huge step, and it’s a very different place in business. Just that one change kind of put me into a weird place, but also knowing that I like automation, and I like reoccurring revenue, and I like creating content, branding and website design will always be my passion. I’ll never give that up, but I’m also finding out that I like doing other things just as much, and I want to branch out Carrylove Designs too. And I’m also at a very hard or weird place in business to because I want to hire out a designer to help me with edits and stuff like that to do design stuff that could be done by somebody else, but I’m not ready quite yet to let go of the reigns. Design is something that’s very personal to me and personal to my clients, and so I’m just not ready to make that transition yet, but overall, I’m kind of at this point where I’ve done … I feel like I’ve done as much as I can by myself. I’ve gone as far as I can, and I know what you’ve done to get to this point is not what will get you to the next point. You have to start doing different things, which that was a terrible version of a really good quote. 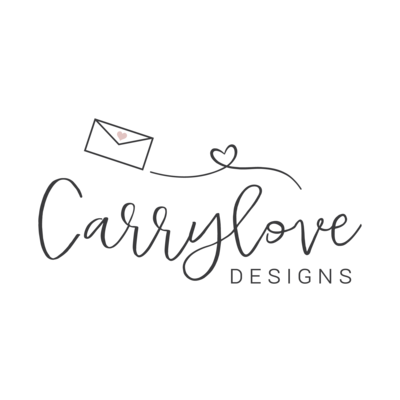 And so, what’s next for Carrylove Designs? So, since I like automation, and I really like design, in October, I will be launching a Showit template shop. I am very passionate about Showit. In the latter part of 2017, that was kind of one of the very big shifts in my business. I became a Showit Design partner. I only started doing Showit website design, which I will do other episodes on going more deeper into Showit and why I think it’s the best platform for creatives. But, I’m opening up a template shop in October of 2018 for a couple of reasons. One, a lot of people who come to me who want a really phenomenal Showit website design just don’t have the budget for one to do a custom one, and so I really want to serve people that are at a different price point and maybe point within their business, and also, it’s another way to get reoccurring revenue within my business that doesn’t require a lot of work. And I also created a Showit course earlier this year, and I really didn’t like launching it. I really don’t like launching stuff that’s going to open and close, and so I wanted to find another way that it would work within my business. The template shop is a saturated market. I can name probably six other people that do Showit templates in a shop on their website, and so I really think that the Showit course which shows you how to edit, design and launch your Showit website is going to really be a differentiating factor between me and somebody else whenever somebody’s deciding what template shop to buy from, and so I’m really excited to have that as another way to serve clients and help them grow their business so that I can merge the template shop and the Showit course into one bundle. And on the same note, going back to really liking reoccurring revenue and also creating content, I now feel like I am at a place where I have things to tell, and I have something that others would feel valuable to learn from. Like, I feel kind of at a place of … Not authority. I don’t know what the exact word is that I’m looking for, but I’m going to go be launching … This is the first time this is being mentioned anywhere besides like to my email list because I have them fill out a survey. I’m going to be launching a monthly membership at the end of August, so keep your eyes peeled for that. It’s going to be over branding and marketing, and it’s going to be at a $20 price point. And going back to being able to serve different people of different points in their business and different price points, I’ve never been so excited to launch something within my business since I launched my business initially. I’ve already started creating the monthly membership and the content that’s going to be released for the first two months, and normally, I look at my content, and I’m like, “Is this enough? Is somebody going to learn from this? 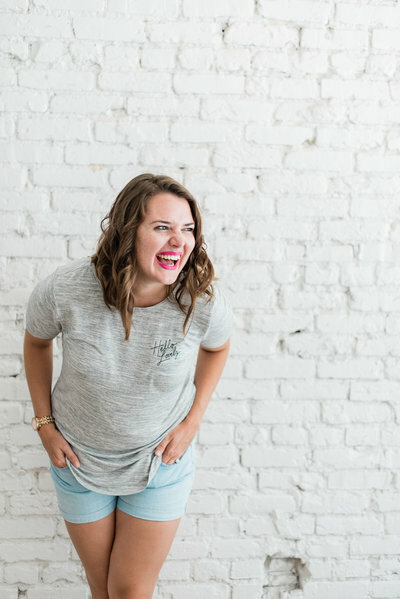 Is somebody going to take something away from this?” And, I look at what I’ve created so far for this membership, and I’m like, “That is damn good.” I can’t wait for people to start learning and applying this to their business and really seeing results. Like, there’s action plans that go along with the monthly membership. There are guest experts that are coming in, and they are going to be doing different tutorials. I will be in there launching basically like mini-courses over different topics from branding and marketing, social media, all the things that just like I’ve seen help and grow my business, and I kind of want to pass along to other people within their business and for their business, and I can tell just by me talking about this, I’m getting louder and louder which happens whenever I get excited. And so, the monthly membership is just something that’s really personal to me and to my journey so far, and I can’t wait to share it. So, my business has transitioned a lot within the last six months. Like, if you would’ve came to me the first of 2018 and been like, “Hey, this is what’s going to happen throughout this year, and this is where you’re going to end up at.” I would’ve been like, “Ha. You’re funny.” But it’s really been a wild ride, and I can’t wait. This is kind of like a bird’s-eye view of everything that’s happened so far, and I can’t wait to do other episodes where I kind of break everything down step by step and give you an inside look at each facet of everything that’s happened. That’s kind of an overview of how my business has transitioned over the last six months and what it took to get here. So, my advice to you if you’re listening to this is there’s a gap within the marketplace, and your goal is to find it. 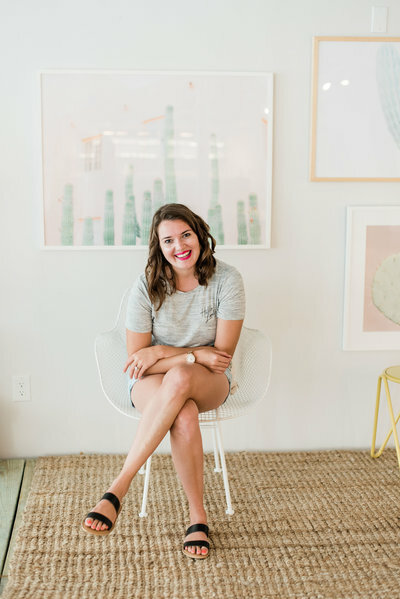 For my gap, it was nobody offering monthly payment plans, and so I found that gap after talking to hundreds of clients or potential clients and filling that gap with basically a monthly subscription service. My also word of advice for people listening to this is adding in multiple streams of revenue, whatever that might look like for your business. If you’re a photographer, maybe start reaching out and educating other photographers that are coming up, offering presets that you can sell. If you’re a designer, offering a template shop of pricing guides or other assets that other people are looking for within their business. Getting on creative market and opening up a shop that way. There’s just a lot of different ways that you can add reoccurring revenue within your business and see your business grow and expand. Don’t be afraid to try new things. I would’ve never thought that I would enjoy doing Instagram content creation, but I added it in. I took a risk, and I really like it, and it’s reoccurring revenue for my business. And so, find the gap within the marketplace. Add in multiple streams of revenue, and don’t be afraid to take risks. 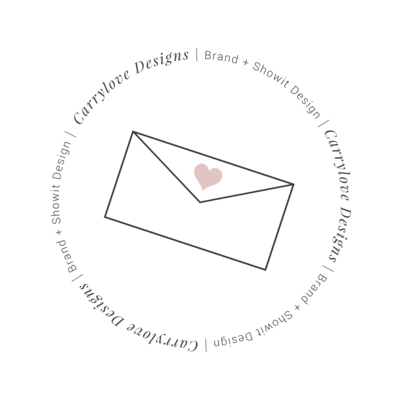 Our mission is to help CREATIVES PAIR BEAUTIFUL BRAND DESIGN WITH AN INTENTIONAL WEBSITE STRATEGY SO THEY CAN BOOK MORE CLIENTS AND MAKE MORE MONEY DOING WHAT THEY LOVE! brand and Showit website design studio for creatives. I am an award-winning website designer, brand strategist, and community leader. I help take our clients' visual brands to the next level. 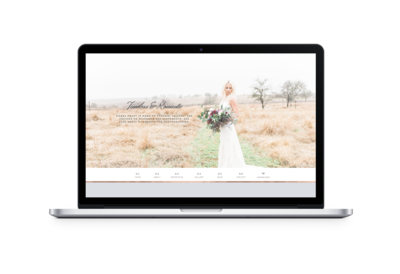 I am passionate about design and believe pairing a beautiful brand aesthetic with an intentional website strategy is the cornerstone for success, booking clients effortlessly, and creating a delightful online experience. I don't believe in coincidences. You arrived here for a reason. I would love the opportunity to show you around and get to know you better. My goal is be able to serve you no matter what stage of business you're in. Please take a look of some of the best places to get started.